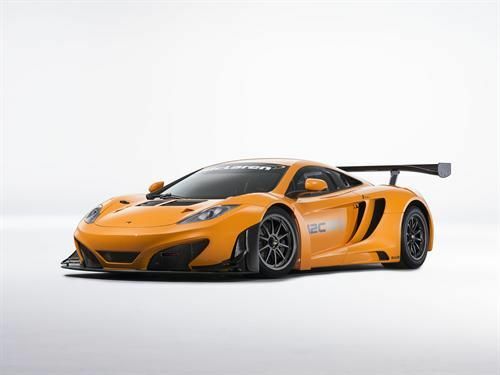 McLaren is producing limited numbers of the 12C GT3 competition racer for the 2013 season. These new models are available for all GT3 championships including, for the first time ever, global competition racing. Collectors and non-race users are also able to purchase the new speed machine, of course. The 12C GT3 made its debut in the 2012 season and took part in 98 separate race events, of which it won 19 victories and 19 podium victories under 13 McLaren GT customer teams. During that season, the racer was only available to European Gran Tourismo teams and only competed in a handful of non-European events including Abu Dhabi, Azerbaijan and Macau. For the 2013 season, the McLaren 12C GT3 will be available globally. The company says that new teams have already taken delivery of the car for competition and all active teams from the 2012 season are confirmed for 2013. One of those new teams is the world-famous Sebastien Loeb, nine-time World Rally Champion whose team will use two of the McLaren 12C GT3s in the upcoming FIA GT Series. His second car will be piloted by McLaren GT factory driver Alvaro Parente for those six showings this season. The 2013 McLaren 12C GT3 has specific changes for enhanced drivability, reliability, and compliance with international GT requirements. A new engine electronic control unit (ECU) and alternative dampers are a part of that, as are improved aerodynamics and an updated cooling system to enhance performance in non-European climes. The new package is visible through the larger air ducts in the bonnet and the front splitter. Technical specifications include a race-ready 3.8-liter V8 twin turbo McLaren M838T engine coupled to a six-speed sequential motorsport transmission that is pneumatically actuated through steering-mounted paddles. The new ECU is custom-made for the car and interfaces with a Bosch anti-lock braking system (ABS) and Shiftec transmission controls. Braking is through six-piston calipers at front (36mm disc) and four-piston calipers at rear (32mm disc). The steering wheel (shown in the gallery) is adapted from the McLaren MP4-24 Formula 1 car and is fully customizeable for the driver. The McLaren 12C GT3 has a 120-liter fuel capacity and includes a motorsport "quick-fill" system. The enhanced 2013 McLaren 12C GT3 costs £325,000 ($515,645 USD), and is eligible for all FIA GT3-based race series.